I’m tempted to write an essay entitled “What I did on my summer vacation” (remember those assignments) on the chance that I might then get an inkling of how it all sped by and now, in retrospect, is nearly over and gone in a fleeting whiz of memory. In all that time, from the first of June until now, I sat down only nine times, gathered my thoughts and wrote this blog. Only nine. Looking back, I ranted about the loss of the bees, celebrated Midsummer, participated in a mega-family reunion, marveled at wrens moving into a cow skull, lamented humidity and mosquitoes, longed for more growing space, lauded my Grandma Marie and all similar influences, grieved for a dead woodpecker and then for a tree. Those were just highlights here and there of my summer. If I could encapsulate the past four months, I would have to admit that I spent my “summer vacation” galloping ahead, full throttle, ever flying to the next task, event, or happening. Whew. I’m rev-ing right now just thinking about my silly, break-neck pace of late. 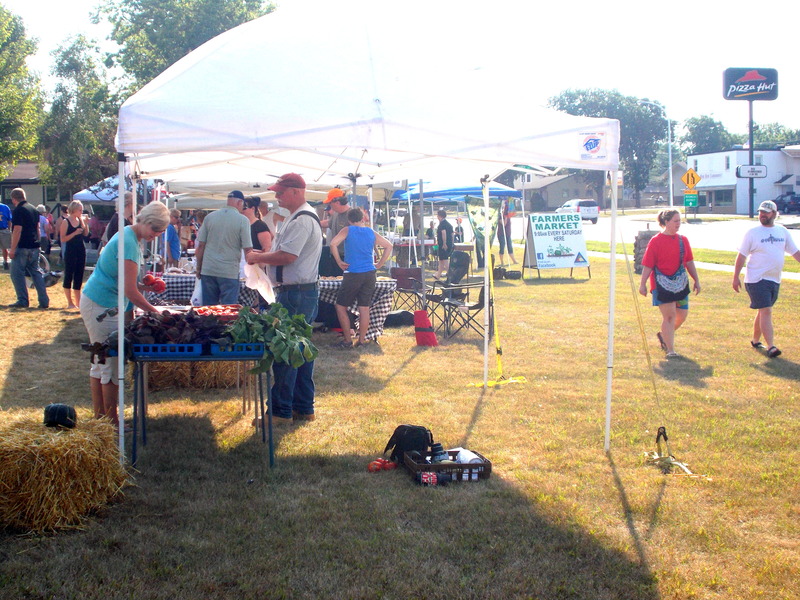 There was the Farmer’s Market, of course, and that became a weekly focus – vendor emailing, shopper newsletters, hauling equipment, writing press releases, ringing bells, marking spaces, posting flyers, setting up equipment, collecting fees, setting guidelines, taking down equipment, making lists, hauling equipment. And then doing it all over again. Not to complain. With just one week to go, I am most likely to end the season by making a spectacle of myself, jumping up and down while shrieking – “We did it!” The Fergus Falls Farmer’s Market was a success and, along with my crazy, volunteer compatriots – Lynn, Emily and Dave – I am proud and just a little “high and mighty” given the hoops and nay-sayers, and investment of life and limb. Thank you Fergus Falls. WE did it. The market was a big part of the whirl and the blur of the summer, but didn’t begin to eclipse in passion and sheer physical exertion, the time spent helping to open Transformations, with my daughter, Noelle and her business partner Kristina. What a wonder. Their endeavor takes motherly pride to a new glorious height. For those who ask and want to know – Noelle and Kristina started with a dream. They first thought of a consignment business. 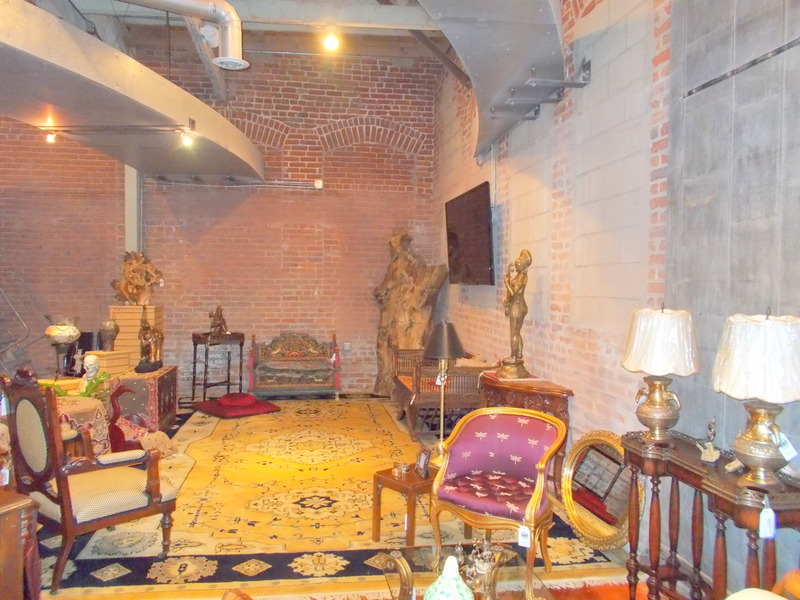 But after a year of accumulation from high-end estate sales, they had a warehouse full of kitschy, vintage, super-terrific, beautiful and cool furniture. 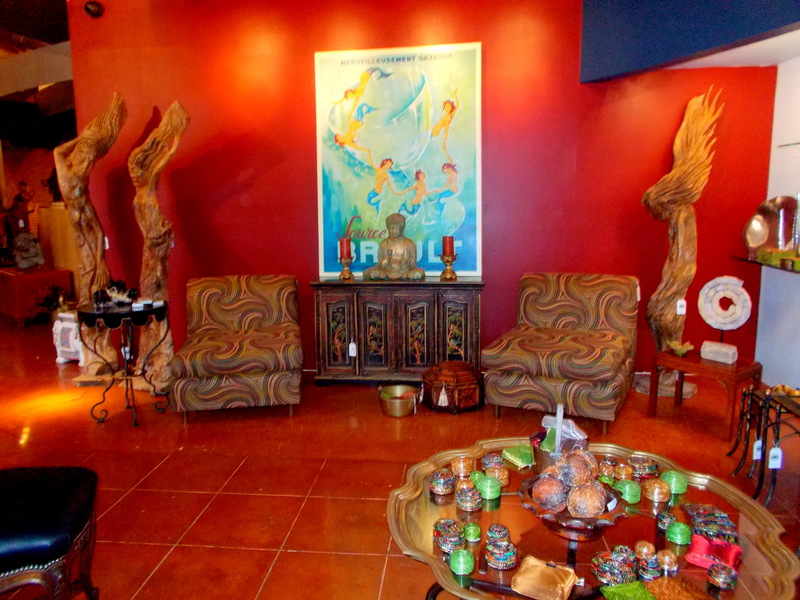 After a sojourn to Quartzsite, Arizona, they had not only mineral and crystals lamps and such, but a contact with someone who imports driftwood carvings from Bali – 10 inches to 10 feet tall, all with the head of the Buddha subtly carved and worked within the structure. 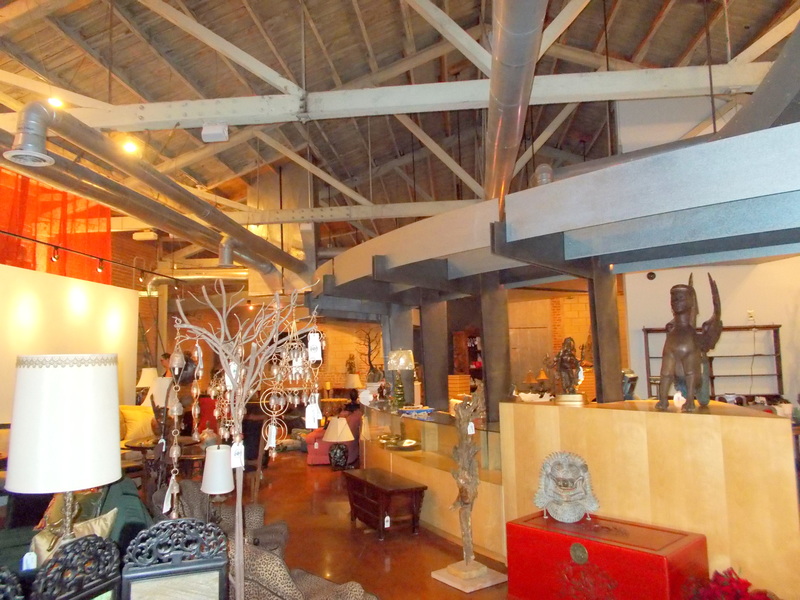 Next they started accumulating Asian statuary, gongs, bells, fountains, lighting fixtures. 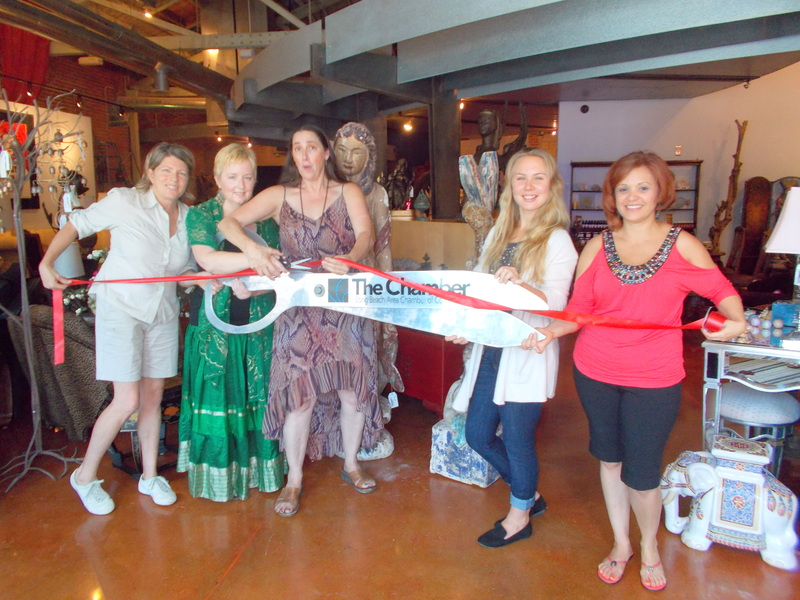 And finally, they added to the mix – jewelry, art glass, home décor and botanicals. All this magic in a wondrous gallery space in a trendy neighborhood. In fact, my old childhood neighborhood and in the very spot that long ago housed our local automotive repair shop. And I helped. So yes. It’s been quite a summer. But not in the sense that I ever took time to sip a cool drink by the seaside, or waft to and fro in my hammock while catching up on the latest fad fiction, or took a leisurely stroll along the river. Mostly I raced from one task to the next, however satisfying or exciting, and now I’m paying the price. I’m stuck in “rev” and seriously need to relearn and re-program the mode of relaxation. “What do I need to do next?” I cry. “Go to your room (meaning my meditation space),” my husband says. “OM,” I say. Not really meaning it, but trying. The truth is I seem to have lost the knack and habit of relaxation. It’s possible that it all stems from a later day form of retirement, and it’s certain that I never have been busier. 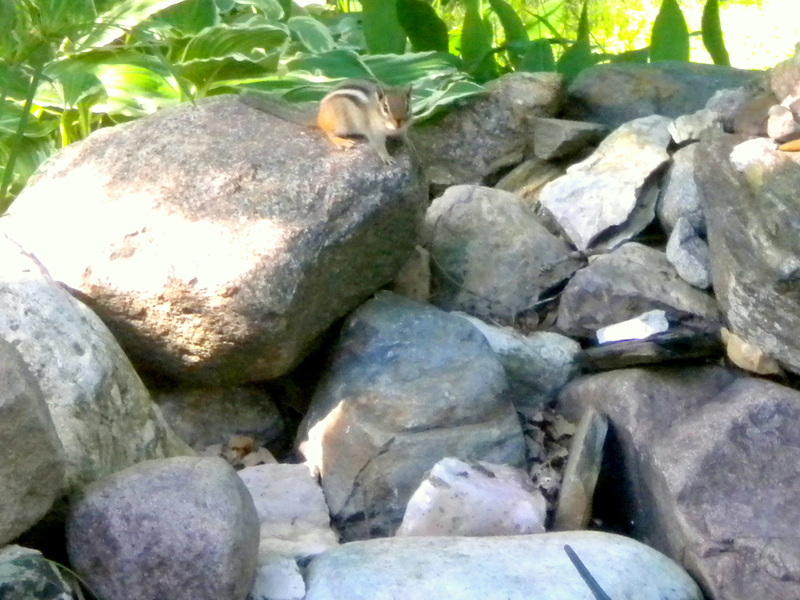 And yet, just yesterday I was looking out the back door, wondering if I should pick tomatoes and start the mulching and fill the birdfeeders next and in what order, when I became engrossed with the chipmunks flitting about the yard. Scurrying. Rolling black walnuts. Sniffing for fallen seeds. Hopping atop the rocks around the pond. Popping in and out of tunnels. A blur. And then a quivering statue, eyes popping, ears out, tail extended. Then off again. They looked as frenetic as I felt, doing chores, taking care of this and that, making the most of waning days and sunlight. Getting in as much living as possible before they settle into their snug burrows for a long winter rest. And yes. That is all it is, this crazy pace and energy. In other words, I’ve become a Minnesotan and when the snows return and the drive is ice and the garden is put to bed, I’ll settle into my cozy chair for a long winter’s rest. This entry was posted in COMMUNITY, Family, favorite things, memories, retirement, Wild Life. Bookmark the permalink. Lovely telling of a busy summer, and a winter to come with time to re-learn to relax. this is a wonderful gallop through a busy and fulfilling life – and I love it! We were talking this week about how to relax – when the “go to’s” like meditation and quiet sitting just don’t do – when there is this pulse you can’t ignore. We, too, have our seasons – and I love you you describe your life, and internal processes – terrific. I would bet at the height of our winter, you looked back on these summer days with joy.